Home→My Thoughts→Are Jewish Settlements Obstacles In Peace? Who says that settlements are THE obstacle in the Israeli-Palestinian Peace process? If they were the obstacle, there would have been Peace long ago. So what, then, is the real obstacle in obtaining Peace in the region? The real problem is the refusal of Arab “Palestinian” leaders and the Arab “Pali” Media to accept the Jewish State’s existence and their creation of false claims and slander against the Jewish State. The Arab “Palestinian’s” hate for the only Jewish State in existence is easily observed in their speeches and their claims. 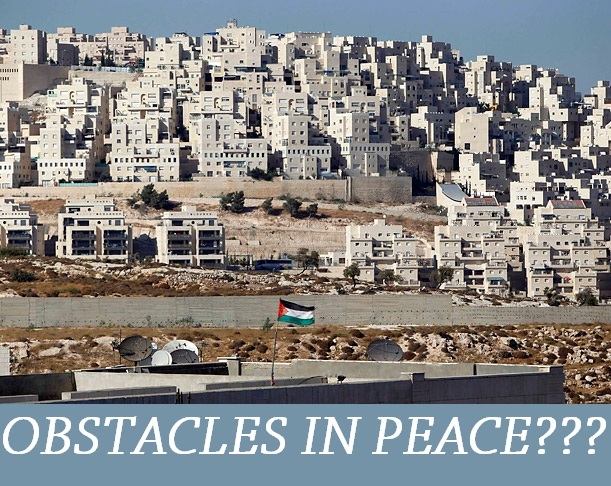 Let’s look at the claim that settlements are the obstacle to Peace. To do so, we must compare that claim with what happened in 1920. In 1920, there were no settlements. Yet, the Arab “Palestinian” violence against the Jews dwelling there escalated. Even amid 1948-1967, Arab “Palestinian” violence escalated into wars and terrorism, although there was no issue of settlements at that time. Then, consider what happened in 2005. In 2005, Israel, hoping for peace, evacuated all of its Jewish settlements in Gaza in exchange for Peace. However, what did Israel receive for its sacrifice? Terrorism. Only Terrorism. So, it is my observation that settlements have nothing to do with peace between Israel and Arab “Palestinians.” Therefore, settlements are not in any way an obstacle to the Israel-Arab “Palestinian” Peace Process. Rather, the obstacle to the Middle East Peace Process is the Arab “Palestinian” denial of the reality of the Jewish state and its right to exist as a sovereign nation. الذي يقول ان المستوطنات هي العقبات التي تواجه عملية السلام؟ لو كانت العقبات، لما كان هناك سلام منذ مدة طويلة. فما هو عقبة حقيقية في الحصول على السلام في المنطقة؟ المشكلة الحقيقية تكمن في رفض القادة الفلسطينيين والبالية وسائل الإعلام لقبول وجود دولة يهودية وجعل الافتراءات ضدها. كراهيتهم للدولة اليهودية الوحيدة التي يمكن ملاحظتها بسهولة في الخطب والبيانات الخاصة بهم. طيب إذا كانت المستوطنات العقبات التي تحول دون السلام، وهذا يجب أن يوضع في الاعتبار عدم وجود المستوطنات في عام 1920، ومع ذلك، لا يزال العنف الفلسطيني ضد اليهود تصاعدت. حتى في خضم 1948-1967، تصاعد العنف الفلسطيني في الحروب والإرهاب على الرغم من وجود قضايا المستوطنات في ذلك الوقت. 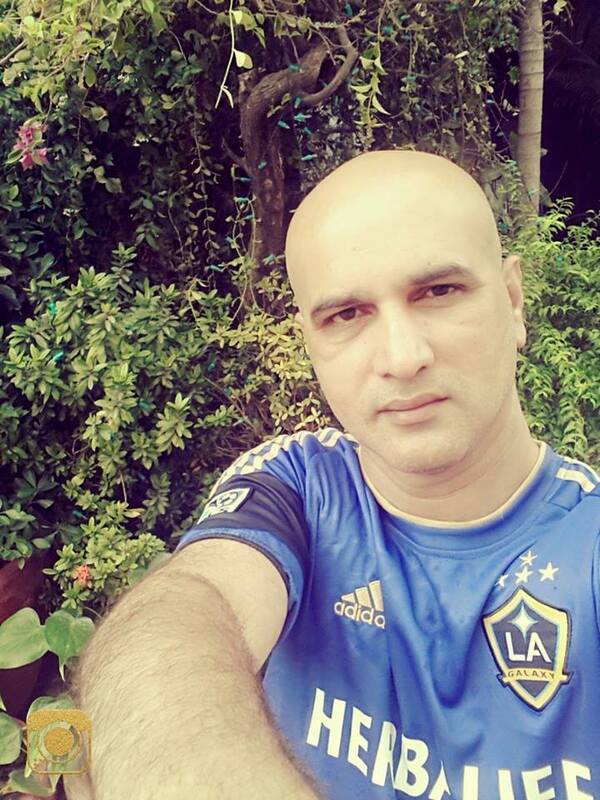 دعونا نرى ما حدث في عام 2005؟ اسرائيل، على أمل للسلام اخلاء المستوطنات في غزة كما تبادل السلام، ولكن ما لم تحصل هي؟ الوحيد الإرهاب. Relax and support Israel. Every time an Israelphobe angers me I send a few more dollars to Israel.